Variation of the world famous Colt 45 Government. 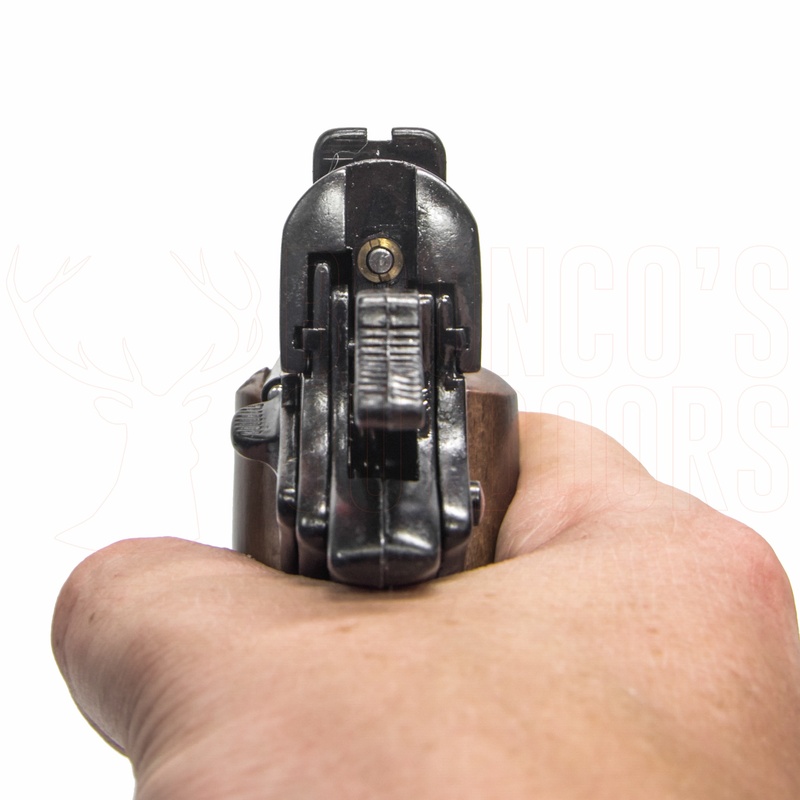 Our authentic, full sized, fully operative, blank firing reproduction weighs and feels like the original. This is a superbly detailed replica of the original and has a full semi-auto function. Disassemble and reassemble from our precision machined die cast parts. Features wood grips. 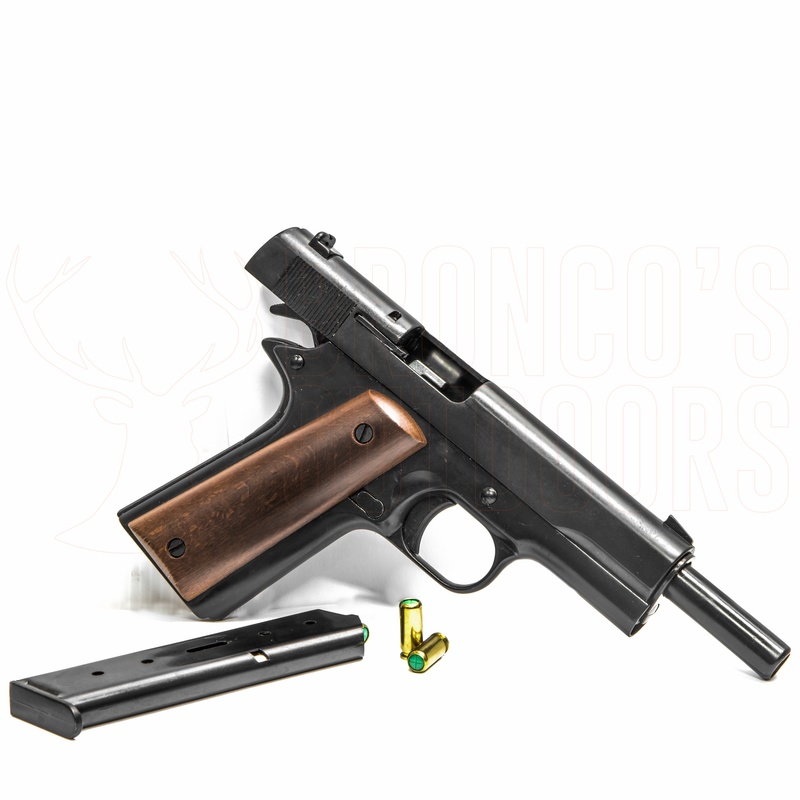 Our authentic, full sized blank firing reproduction is completely safe for gun collections, handgun training, and theatrical work. It fires extra loud 8 mm blanks in both single and double action. Load the 11 round clip, pull back the slide, and fire as fast as you can pull the trigger! Functions: field-strips exactly like the real thing. 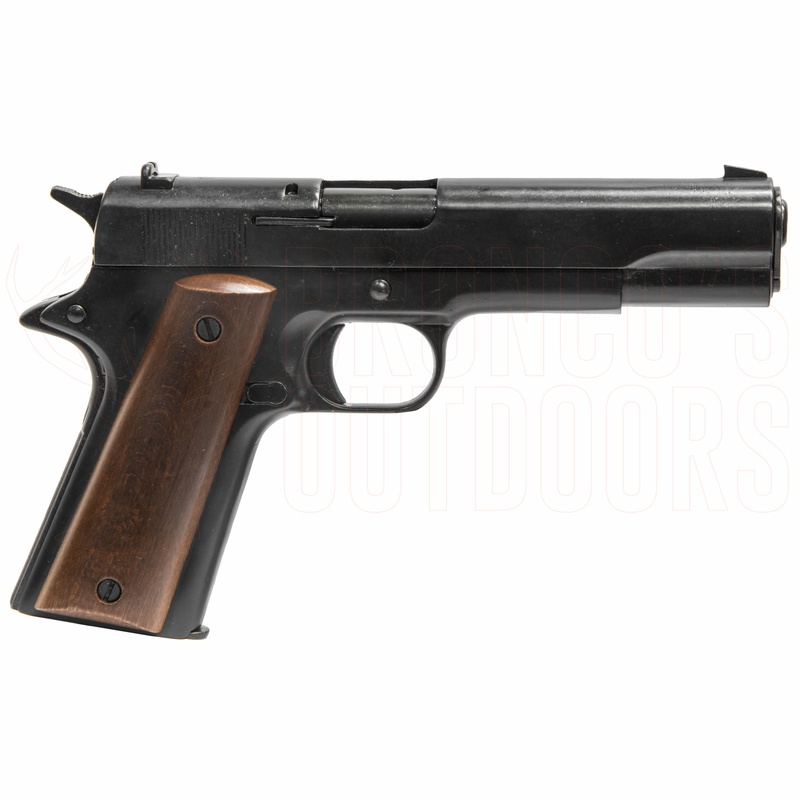 Construction: Full Metal with wooden grips. Everything operates exactly like it does on the real thing! Comes with bore brush and hard case.